Are you a book reviewer interested in reviewing the Gabriel trilogy? Please contact me for a complimentary ebook copy. 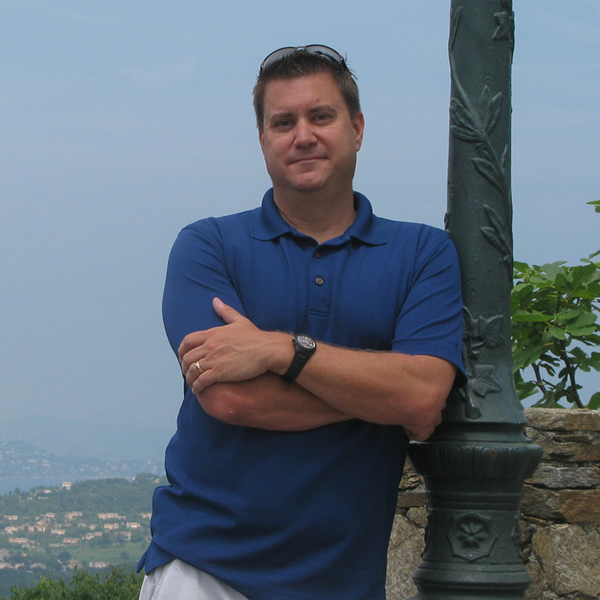 Steve lives in scenic (tongue-in-cheek) New Jersey with his wife, two kids, and several bookshelves full of other authors’ science fiction novels. More information is at SteveUmstead.com, and you can always find him on Twitter (@SteveUmstead). For publicity photo, see bottom of page. “A cast of interesting and believable characters and a plot that kept me turning the pages, wondering what was going to happen next. I also enjoyed the author’s take on technology and the political landscape of the future. Definitely recommended!” – Michael Hicks, bestselling author of the In Her Name scifi series and Season of the Harvest. 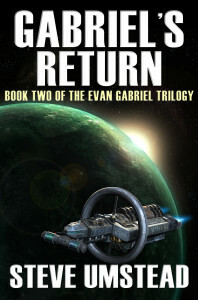 Gabriel’s Return continues the epic science fiction adventure trilogy with characters new and old, advanced weapons and technology, devious political intrigue on the moon and Mars, and deadly jungle combat on the unique planet of Eden. 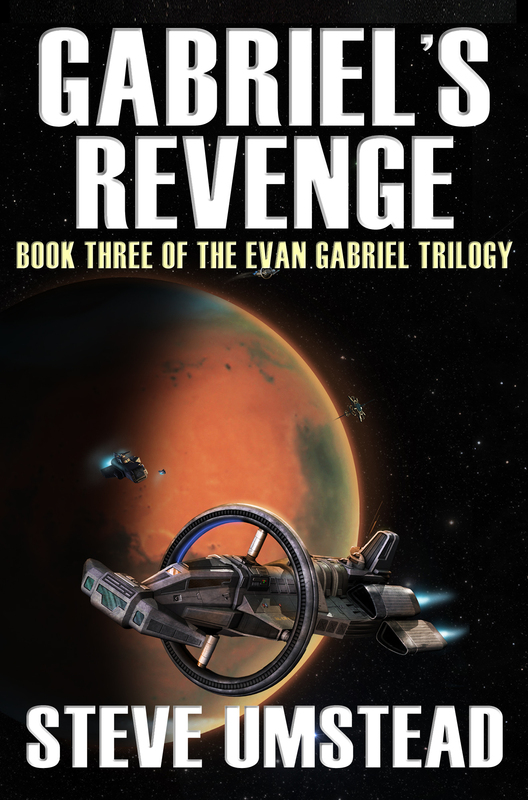 Book 3 of the Evan Gabriel TrilogyA missile has no conscience. It is an inanimate steel object: cold, emotionless. But once ignited, it burns white hot inside, and cannot be shut off. Fired in combat, it has but one objective: the total destruction of its intended target. 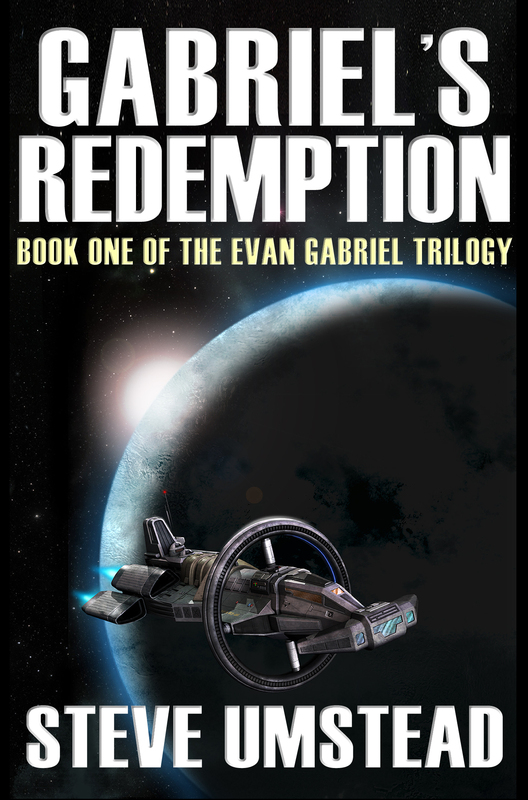 And it will only stop when its objective has been achieved, or it runs out of fuel.Not all missiles are made of steel.North American Federation Navy Commander Evan Gabriel thought it was over. Returning from a mission on the far-off world of Eden, he finds that Mars is in a state of political upheaval. Two major dome cities are now under the control of ambitious and ruthless men backed by the scheming South American Republic. 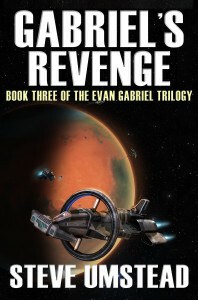 Friends are in trouble, Renay Gesselli is missing, and the future of a world is in flux while rival governments bicker behind closed doors.From the ice-bound planet of Poliahu, to the dangerous jungle world of Eden, and back to his adopted home of Mars, Evan Gabriel has witnessed death follow him. Now, he’s turning the tables, and no force would stand in his way.